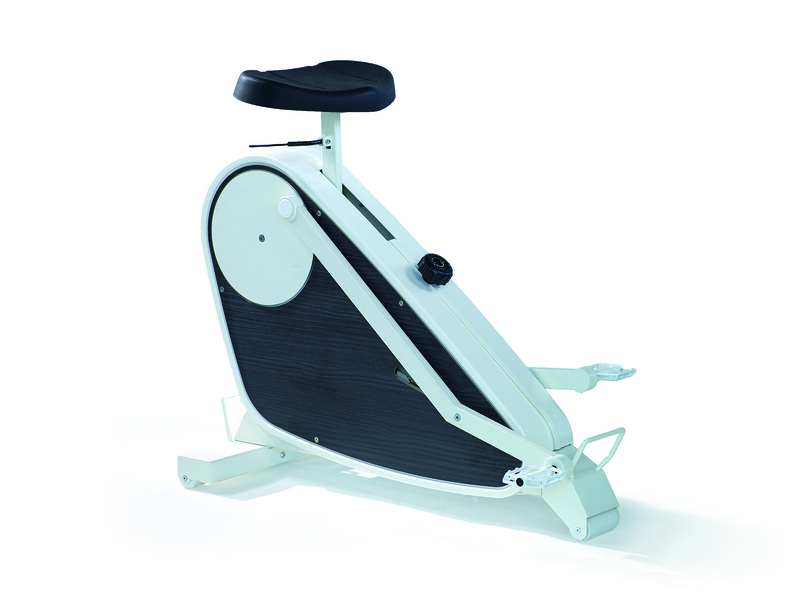 Oxiseat is part of the Oxidesk family. 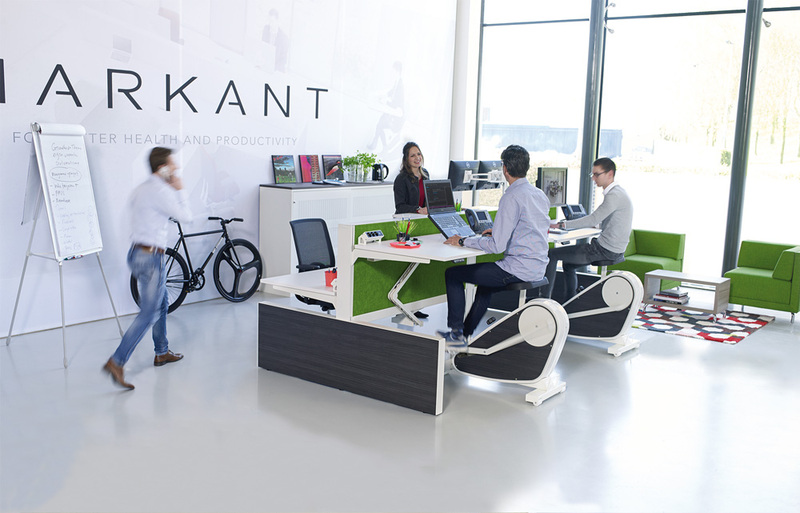 Work and movement unwittingly come together here in a comfortable bike workplace. 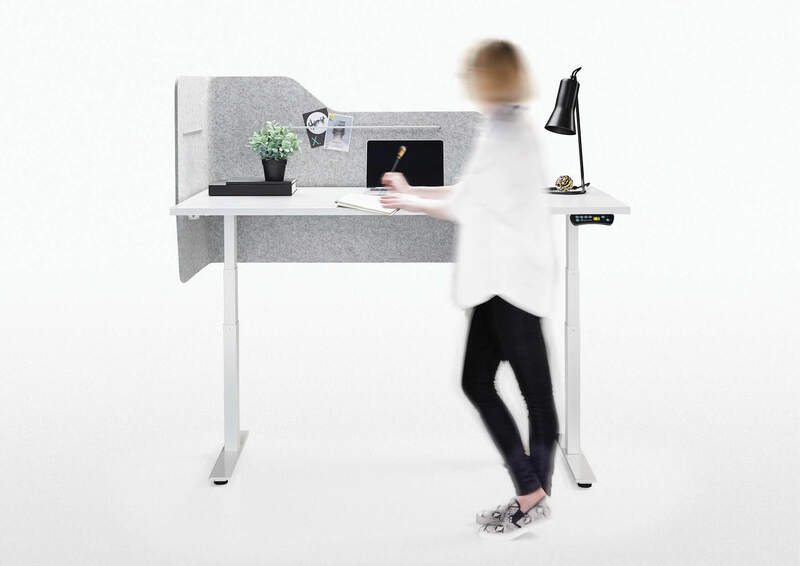 Unlike the full Oxidesk the independent Oxiseat is used in combination with your own workstation. Your trusted desktop gear is now within easy reach, while the ergonomic benefits are retained. 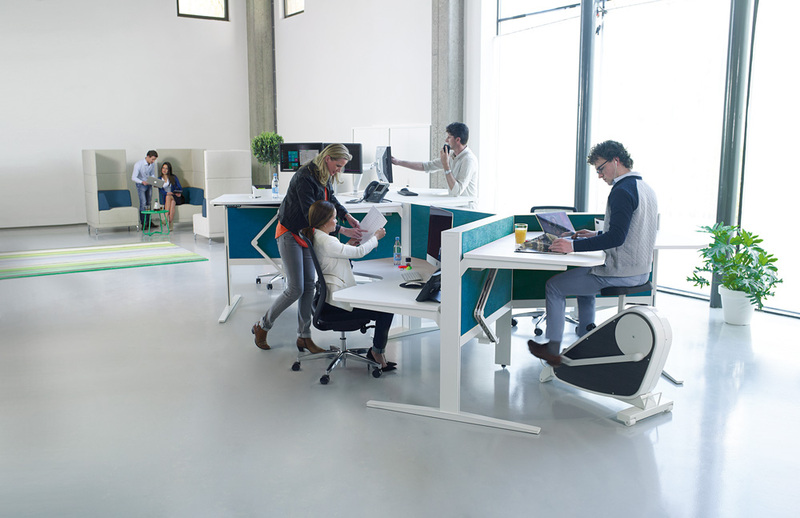 The Oxiseat is mobile and can be easily shared between co-workers making it a flexible part of any work environment. 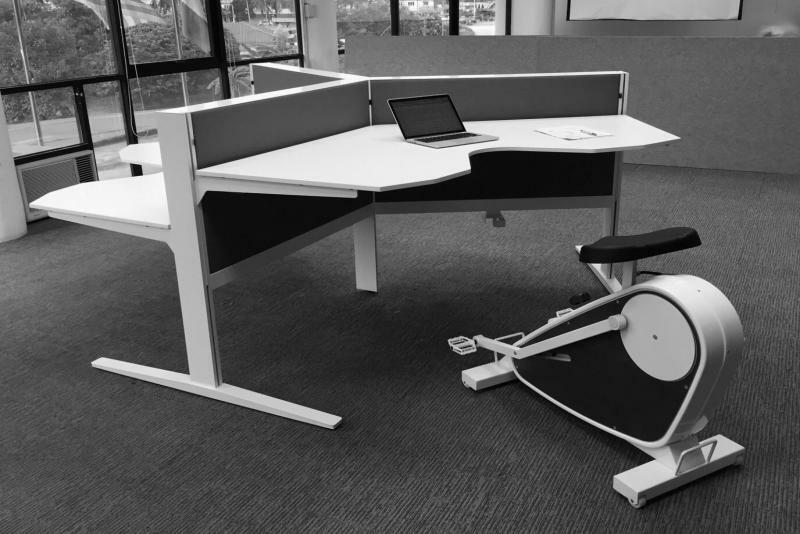 The Oxiseat combines work with light exercise. It is designed with movement in mind all the while allowing you to perform such daily tasks as phone calls, emails, light typing and reading. 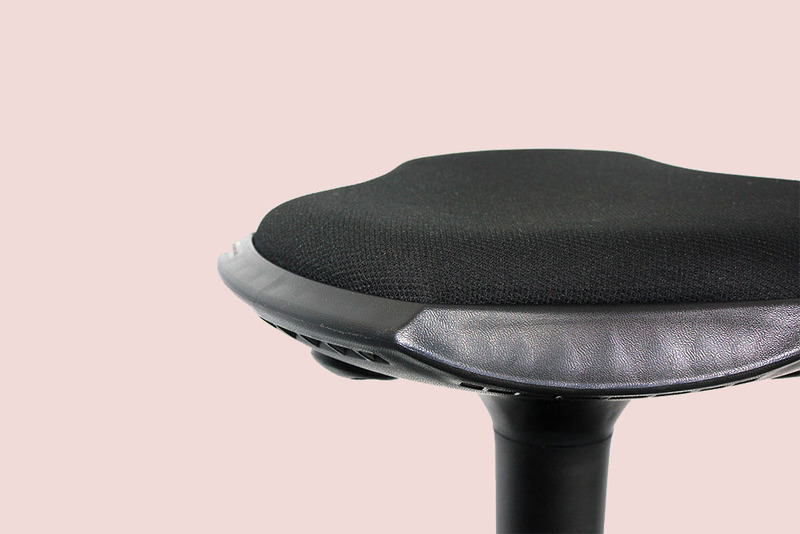 With the Oxiseat, you're able to work healthier and smarter all at the same time. 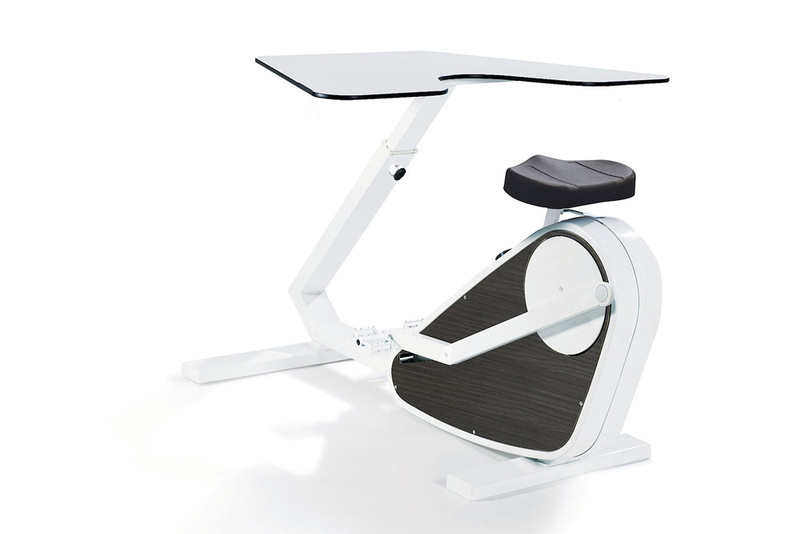 Easily adjustable to suit every individual it is the perfect addition to any office. 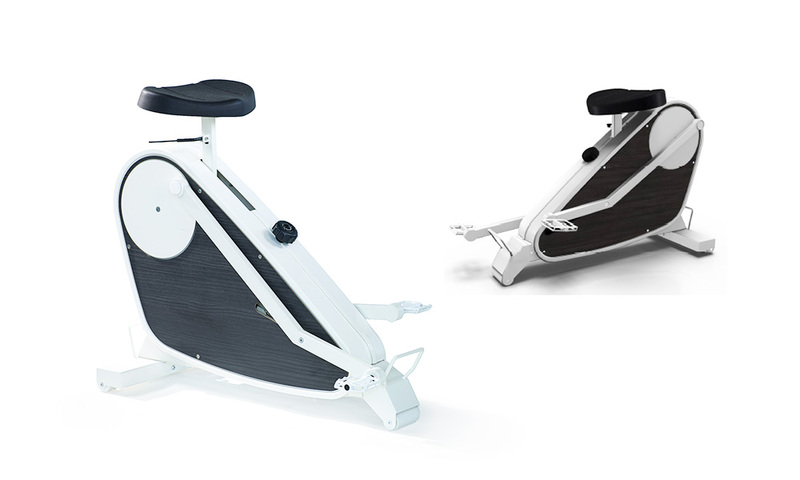 The movement stimulates the back and assists with the prevention of back problems, while the light exercise stimulates blood flow improving oxygen levels to your brain and positively impacting on you productivity. The frame structure is steel powder coated for a gloss finish. Moving parts are adjustable my means of strategically placed dials. There are 15 power adjustment levels.